Drones aren’t just flying toys anymore. In recent months, we’ve seen handfuls of drone makers pivot toward producing specialized models catering to more specific customer needs. 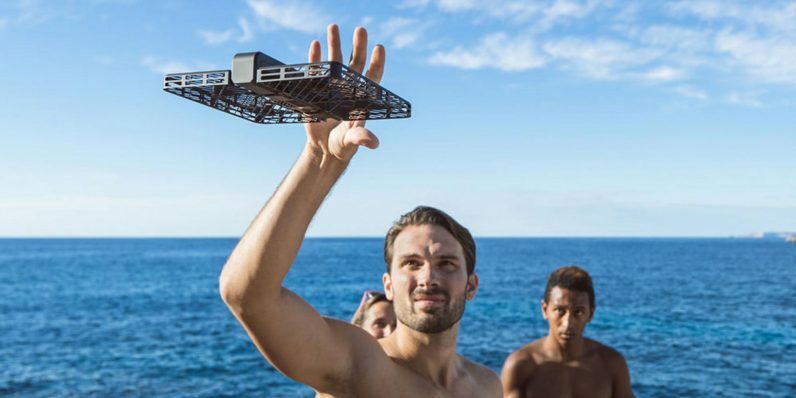 For the person who loves selfies and wants to document their world travels without getting bogged down in the mechanics of drone flying, the Hover Camera Passport is a forward-thinking marvel. Right now, you can save $150 on this super-cool item, marked down to just $349.99 from TNW Deals. The Passport’s carbon fiber body is incredibly lightweight and portable (about a half-pound and the size of a VHS tape) and easily folds up for transport. When you’re ready to use it, just power it up and let it float out of your hand. With its facial recognition capabilities and other features, the Passport will fly on its own and automatically lock on to you, snapping images or capturing 4K video whether you’re hiking, biking, strolling along the beach, anywhere you go. The Passport can be set to do 360-degree panorama shots around you at a range of up to 65 feet, ensuring you can grab just about any type of shot you want. Meanwhile, the Passport is getting regular firmware updates to make it smarter and even easier to use. It won 2017 honors from Red Dot Design, IF Design, and CES, with Digital Trends calling it “the best selfie drone ever made.” Hurry now and you may even be able to get this into someone’s hands before Christmas at 30 percent off its retail price. You’ll instantly win honors of your own for the most awe-inspiring gift of the season, hands down.